I saw the movie trailer for this, but somehow missed it when it came to the cinema. I was looking forward to seeing it so thanks for reminding me that I need to add this movie to my movies to watch list. Dawn, your review has me wanting to watch this movie. It's now on my list of movies to see. I'll be looking for it now. Sounds like a wonderful flick - I've seen the title and scanned right by it, not anymore. Must see! An excellent review! Clearly a must see movie for me. I sure wish I had known about it yesterday when I was searching for something to watch for a little down time. I will most certainly make time to watch this movie after reading your review. I can hardly wait! What a lovely review. I think that even my sweetie might enjoy this movie. I'm anxious to find out how you like the book. This sounds like a movie I would enjoy, though I might want to read the book first. Great review! Parts of Brooklyn were filmed in my town and near it at our beach! Lovely film! Great review! 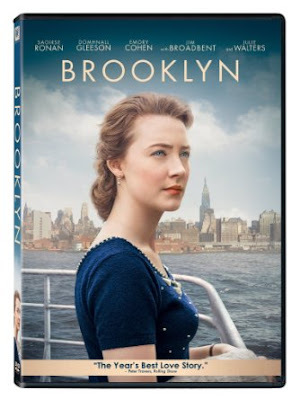 Brooklyn sounds like a charming movie. I'll have to watch for it. Thanks for this interesting review. I've been meaning to see this movie and now after reading your review of it I must see it soon. I'm sure m hubby would like it too. 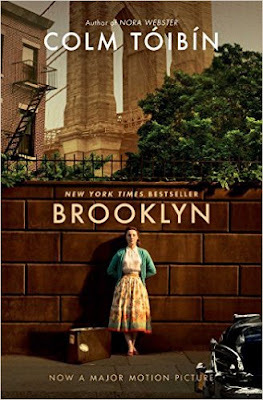 We enjoyed Brooklyn (and I wrote about it on my movie blog.) I think it is in part for a recent statement by my husband that he'd like to go to Ireland one day. Oh my, my heart is already breaking and I just watched a little wee clip. It's going on my must see list too. Thanks Dawn Rae for this lovely look at Irish girls and so much more.